Three hundred seventy – seven graduates were honored Saturday, November 23, during Savannah College of Art and Design’s inaugural fall commencement ceremony, at the Savannah Civic Center’s Johnny Mercer Theatre, 301 W. Oglethorpe Ave. As the university continues to grow, so do quarterly celebrations of student achievements. Academy Award winning director-producer Lee Daniels delivered the commencement address. The first film from Daniels’ production company was 2001’s “Monster’s Ball,” which marked Daniels as the first sole African-American producer of an Academy Award-nominated and –winning film. He also produced “The Woodsman,” which premiered at the 2004 Sundance Film Festival. Nominated for three Independent Spirit Awards, the film received the CICAE Art House Prize at the Cannes Film Festival, the Jury Prize at the Deauville International Film Festival, and Special Mention for Excellence in Filmmaking from the National Board of Review. Daniels’ directorial debut “Shadowboxer” came soon after. Released in 2006, “Shadowboxer,” tells the heart-wrenching tale of two assassins, and was Daniels’ directorial debut. Following the film’s world premiere at the Toronto International Film Festival, Daniels was nominated for the New Directors Award at the 2006 San Sebastian Film Festival. selection made him the second African-American director to be nominated for an Oscar. Daniels also received a historic nomination as the first African-American director to be nominated by the Directors Guild of America. “Precious” received three Golden Globe nominations and won both the Grand Jury Prize and Audience Award in the U.S. Dramatic Competition at the 2009 Sundance Film Festival, only the third film in the festival’s history to do so. The film went on to win awards at major international film festivals including Toronto, Deauville and San Sebastian. Released in August, his latest project “The Butler,” follows the life of a White House butler who serves eight U.S. presidents during his three-decade tenure. The film stars Forest Whitaker, Oprah Winfrey, Robin Williams, John Cusack, Terrence Howard and Cuba Gooding, Jr., among others. Generating both critical and festival praise, Daniels’ films continues to spark the acclaim and buzz reserved for the top echelon of Hollywood artists. 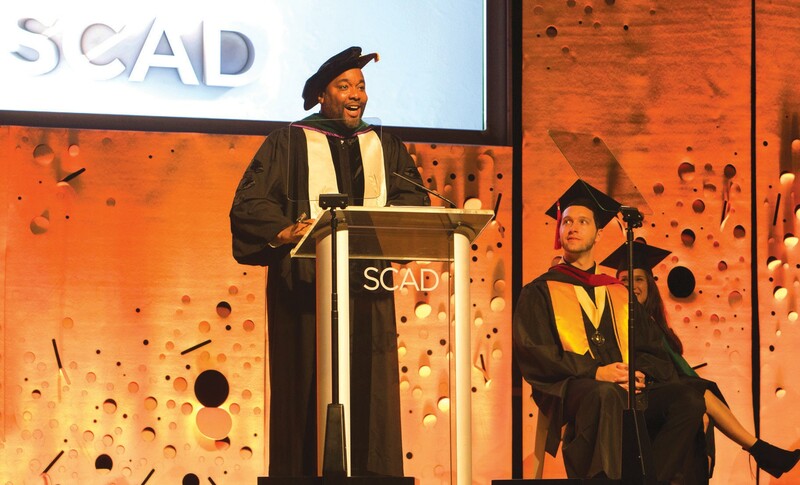 SCAD recognized the following individuals as honorary degree and award recipients: In recognition of his work and commitment to the arts, Lee Daniels was awarded an honorary doctorate from SCAD. Daniels received an Honorary Doctor of Humane Letters, an award that honors his distinguished work in film. 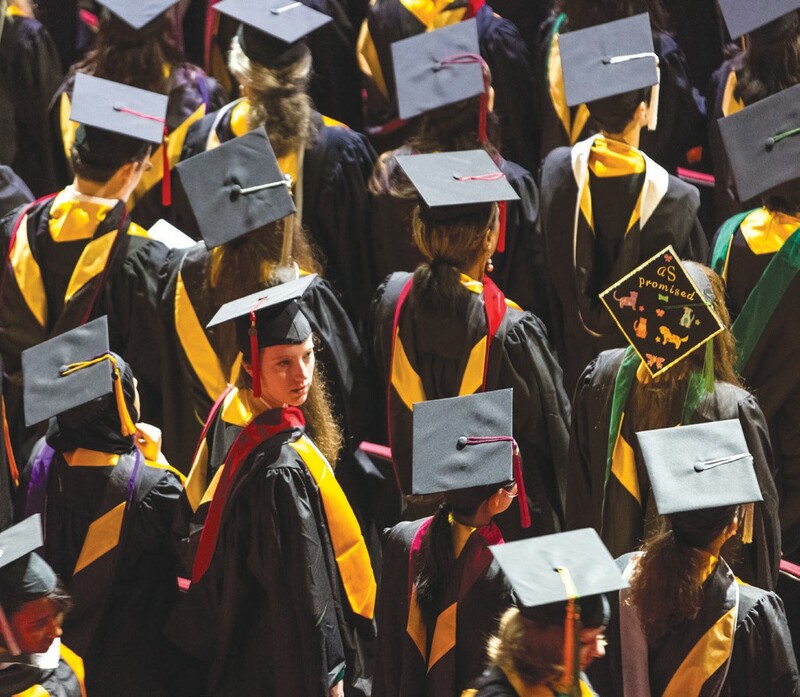 Two students were awarded for their outstanding academic accomplishments as well as their contributions to the university through extracurricular activities and service learning. Christopher Sean Lee, M.F.A. interactive design and game development, was awarded the Graduate Presidential Medal and Maria Cristina Oreamuno, B.F.A. fibers, was awarded the Undergraduate Presidential Medal.